Copies of this pledge were given to each candidate for Rutherford County Commissioner, Sheriff and NC House District 112. Their responses are posted on this site. 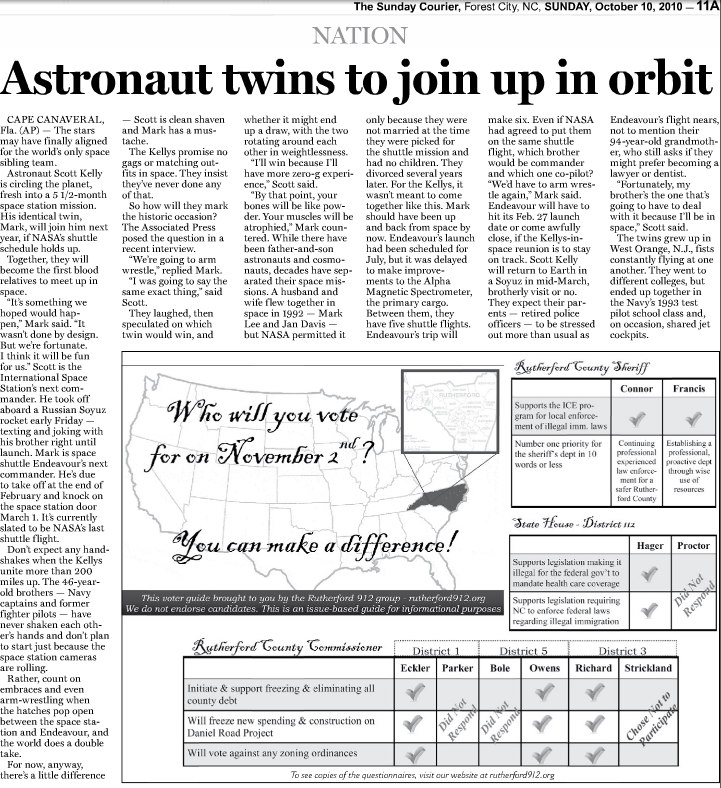 Once the response deadline expired, the list of signers was formatted and put into a General Election Voter Guide and is being distributed to voters throughout the county. 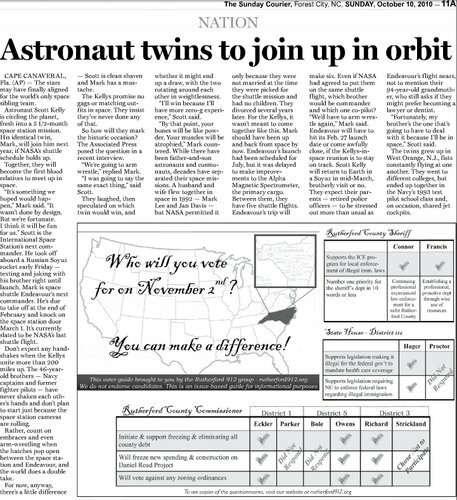 You can download a printable version of the Rutherford912 County Candidate Pledge for the General Election at this link. Vote to terminate the Daniel Road Complex Project and any other speculative projects. This part of the pledge simply requests of the candidate to commit that they will vote to stop all future spending on this project. The land purchased for this project should be scheduled for sale at a point in time when the sale price will not cause the taxpayers to have to absorb a significant loss. You can read more about the history and background of the Daniel Road Complex project by clicking on this link and visiting our page dedicated to this topic. Establish and vote to implement a plan to pay off county debt. For an overview of the Rutherford County budget and debt, click here to visit our page containing information on this topic. 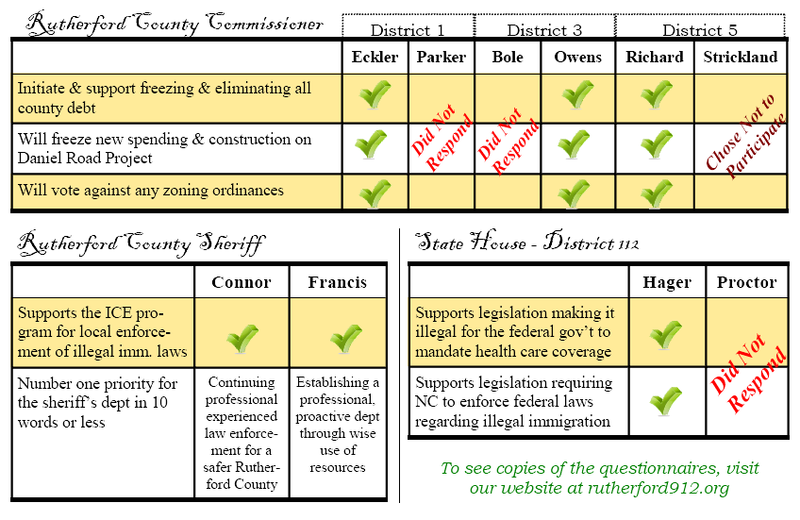 You can download a printable version of the Rutherford912 County Candidate Pledge at this link.